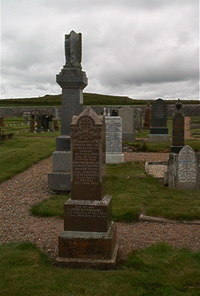 Donald Miller died at The Lith Ulbster 1st February 1926 aged 76. Wife Christina Sutherland died 27th May 1937 aged 84. Daughter Christina Miller died 23rd April 1972. Son George Sutherland Miller killed in action at Vimy Ridge 9th April 1917 aged 21.